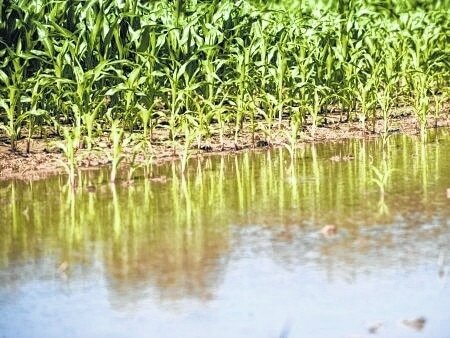 How record flooding likely will impact grain prices may be among questions posed to ag experts at the Farm Science Review. Whether it’s questions about how this summer’s record flooding will impact grain prices or whether drones can be used legally to scout agriculture fields, the answers to these and more will be available from experts with the College of Food, Agricultural, and Environmental Sciences (CFAES) at The Ohio State University during Farm Science Review, Sept. 22-24 at the Molly Caren Agricultural Center near London. In fact, 53 presentations will be offered by experts from Ohio State University Extension, the Ohio Agricultural Research and Development Center, Ohio State’s College of Veterinary Medicine and Purdue University during the Review’s “Question the Authorities” question-and-answer sessions offered daily at the three-day agricultural trade show, said Stan Ernst, an OSU Extension specialist who will moderate the sessions. OSU Extension and OARDC are the outreach and research arms, respectively, of CFAES. “Question the Authorities” offers participants the opportunity to ask a range of general or technical questions related to their farm enterprise and offers an easy way for producers to interact with Ohio State and Purdue experts, Ernst said. The presentations are 20-minute sessions, which allows the speakers enough time to get their message across and answer questions from the audience and then move to the next topic, Ernst said. · Managing Your Farm in an Economic Downturn. · Farm Economy and Policy. · Drones in Agriculture: Know the Law. · Farmland Prices and Rental Rates. · Profitable Pricing for Farm Products. · Poultry Health. Public Concern? · Growing Beer (Hops and Barley) in Ohio. · Is the Farm Balance Sheet in Trouble? · Farming the Bottom Line With Drones. · Controlling Spread of Disease Outbreaks. Sponsored by CFAES, the Farm Science Review is known nationally as Ohio’s premier agricultural event. It annually draws more than 130,000 farmers, growers, producers and agricultural enthusiasts. An estimated 620 exhibitors with some 4,000 product lines will set up shop at the farm show, an increase from 608 exhibitors last year, organizers said. Advance tickets are $7 at all OSU Extension county offices, many local agribusinesses and online at fsr.osu.edu/about/online-ticket-purchase-information. Tickets are $10 at the gate. Children 5 and younger are admitted free. https://www.urbanacitizen.com/wp-content/uploads/sites/36/2015/08/web1_flooded-corn.jpgHow record flooding likely will impact grain prices may be among questions posed to ag experts at the Farm Science Review.